As a campus IT professional, the pressure to provide a consistent and reliable experience for all faculty, students, staff and guests is greater than ever. Every year more devices come to campus, more content is downloaded and more network resources are used. With this unique, 24/7 IT environment, there are four reasons Higher Ed needs better network visibility and control. When it comes to your campus networks, you’re providing access to thousands of users – faculty, staff and students, but also potentially any visitors that accompany them. College students own an average of 7 tech devices. And of course, with any device comes an array of applications, just itching for bandwidth. Did you know users have an average of 26 applications installed on their smartphone? That is a significant amount of additional recreational traffic that could be competing for network resources and impacting the user experience for everyone else. And beyond bandwidth hogging, these devices could also pose threats like unauthorized access to confidential information, attacks from malware, exploit software or fake apps and defiance of regulatory compliance such as the Higher Ed Opportunity Act. Ensuring the vast amount of devices on your campus don’t impact your network requires network visibility all the way down to the device level. You need the ability to identify all devices running across your network and pinpoint any activity and/or users that are or have the potential to jeopardize the health of your network. Despite the rise of Netflix and other on-demand streaming services, illegal downloading persists amongst college students. With the latest Game of Thrones episode just a few clicks away and an easy way to save a quick buck, you shouldn’t be surprised by the surge of P2P and Tor traffic running across your network. And if draining your valuable network resources isn’t enough of an issue with illegal downloads, you’re also faced with the challenge off “takedown notices” issued by the Digital Millennial Copyright Act. Takedown notices could end up costing you your eligibility to get Federal Aid. As part of the Higher Education Opportunity Act (HEOA), it’s your institution’s responsibility to have at least one hardware or software solution in place that limits access to the downloading of illegal content. Identifying problematic activity and the people that are responsible requires visibility into all the users, devices and apps on your network. After you’ve tracked down the culprit(s) granular network control will allow you to block or throttle (whichever you choose) any P2P and Tor traffic that could put your school at risk. Remember the epic launch of Pokémon Go? Remember when all of your students would walk around campus trying to fill their Pokédex using your school’s network? What about fall 2016 (or any fall/spring for the last 10 years) when Apple released the newest iOS update and all of your users, faculty and students, access your network to download it? Whether it’s the hottest new app or the latest software update, you have to be prepared for these spikes in traffic and you need the ability to quickly and easily contain all ‘update’ and ‘recreational’ traffic, so it does not have any adverse effects on critical applications. 4. How About those Helpdesk Calls? Learning management systems (LMS), like Blackboard, are critical apps for higher education institutions. Your students need reliable and consistent access to their LMS to register for classes, check grades, submit assignments etc. When these systems are down or response times are slow, you can bet you’re going to get a flood of helpdesk tickets from students and teachers. And let’s not forget about recreational traffic. Streaming, social media and online gaming are all part of the college experience. 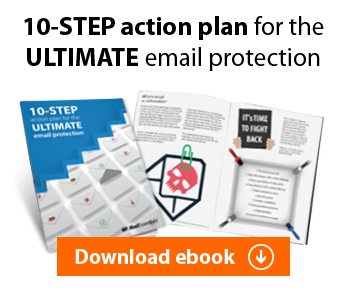 They might be huge bandwidth hogs, but let’s face it – you can’t block these applications. So how do you ensure a great user experience with limiting students? Meeting expectations for reliable and consistent Internet access whether for social or academic purposes requires the ability to see how well your critical applications are performing, identify any activity that could be impacting the user experience and control how and when network resources are allocated either by user, app, location or time of day. 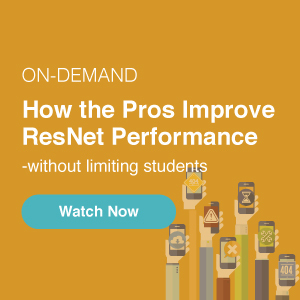 Want to see what true network visibility and control can do for your Higher Ed network? Watch our on-demand webinar with Georgia College!